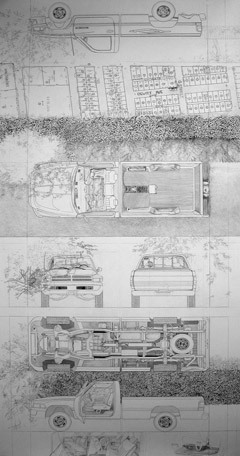 Grab Life by the Horns, 2006; graphite on paper, 110" x 52"
My drawings are autobiographical documentations of temporary living situations. To me, �home� is an ephemeral experience. Since I do not own property, I am curious about where I have a right to exist and what the rules and regulations are that govern my body. 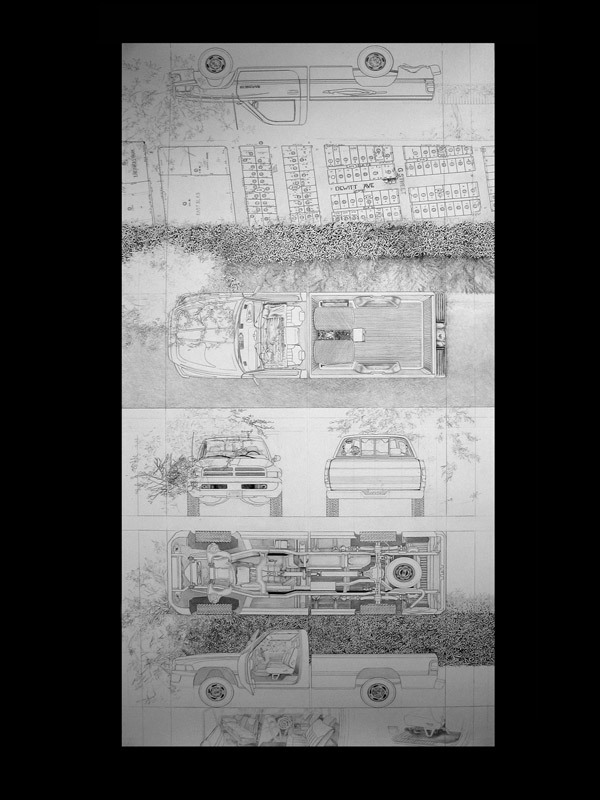 I approach my curiosity about ownership, not only by occupying spaces in the city, but through an engagement with the agencies that govern the city and the paper work that houses it�s various levels of design. This information makes up a good portion of the underlying codes dictating our daily interaction with our surroundings. By familiarizing myself with how this information is tied directly to my attitude about and movements through the spaces of the city, I acquire a sense of ownership of the city and of my movements - even if only on the level of the virtual.